I recently became interested in learning which language rules supreme in the world of twiplomacy. While English has long since replaced French as the Lingua franca in the physical world, I was not so sure it had done so in the digital one. 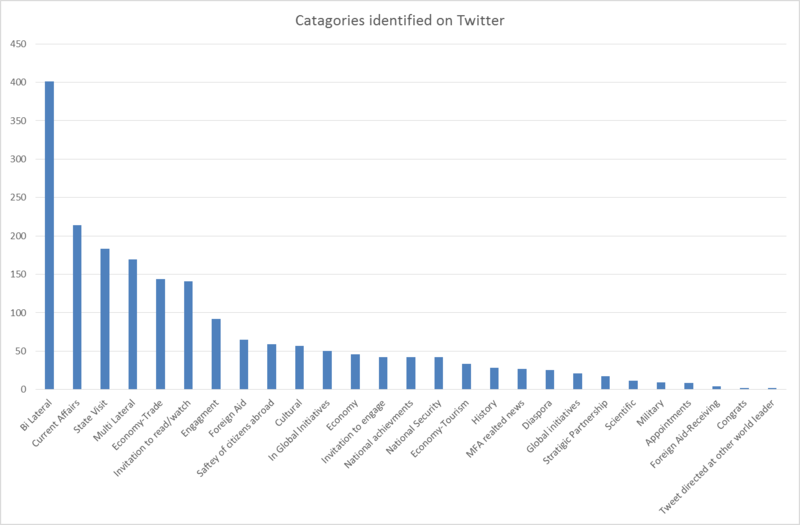 I therefore compiled a sample of 84 countries analyzing the languages they use on their official twitter channels. 60% of the countries examined tweeted in English as opposed to 12% that tweeted in Spanish, 6% that tweeted in Arabic and 22% that tweeted in local languages (e.g., Albanian, Ukraine). I also found 27 countries that tweeted in English although English was not an official language in any of these countries. 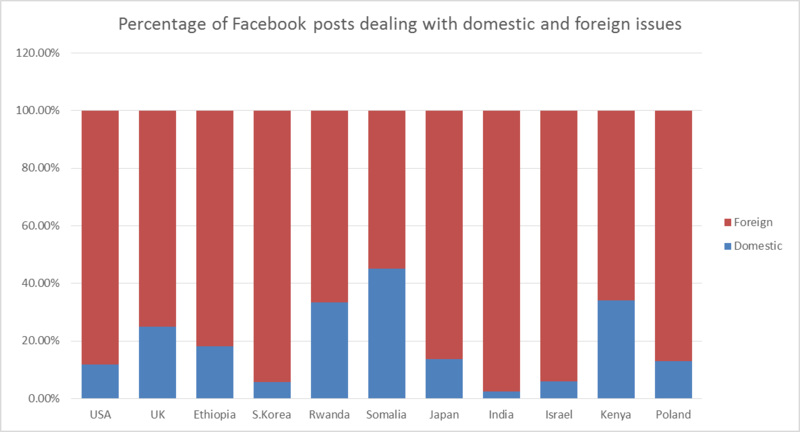 Even more interesting was the finding that of these 27 countries, 55.5% switched to local languages on their Facebook profiles. This finding begged the question, are the different mediums of Digital Diplomacy used for different messages? Are twitter channels aimed at international audiences, and are therefore operated in English, while Facebook profiles are aimed at local audiences and are therefore operated in local languages? 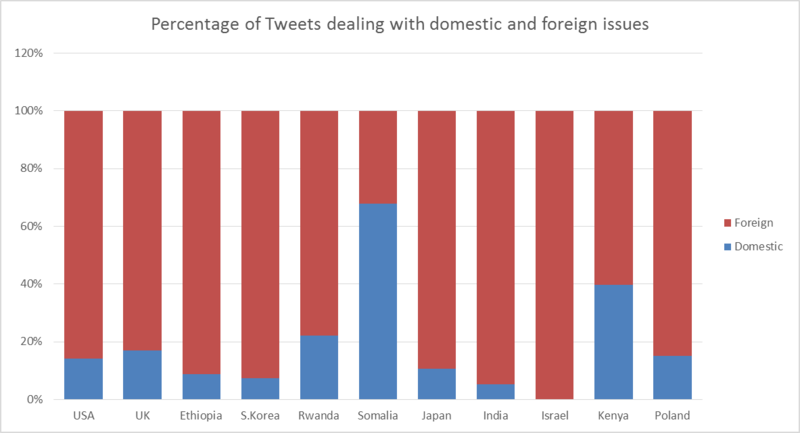 In order to evaluate possible differences between the mediums of Digital Diplomacy (i.e., Facebook and twitter) I decided to analyze tweets and Facebook posts published by ten ministries of foreign affairs over a month long period. The sample included the United States, the United Kingdom, Israel, South Korea, Japan, India, Kenya, Rwanda, Somalia and Poland. Each tweet and post were categorized based on whether they dealt with local of foreign issues as a manner of examining whether they are aimed at local or international audiences. Next, each tweet and post were categorized based on their subject matter. Categories included: Economy, Trade, Tourism, Bi Lateral relations between two countries, Multi-lateral relations (e.g. European Union), Comments on current affairs (e.g., Death of Nelson Mandela), State visits and more. Furthermore, this finding is replicated almost identically when examining Facebook posts published by the same ministries. 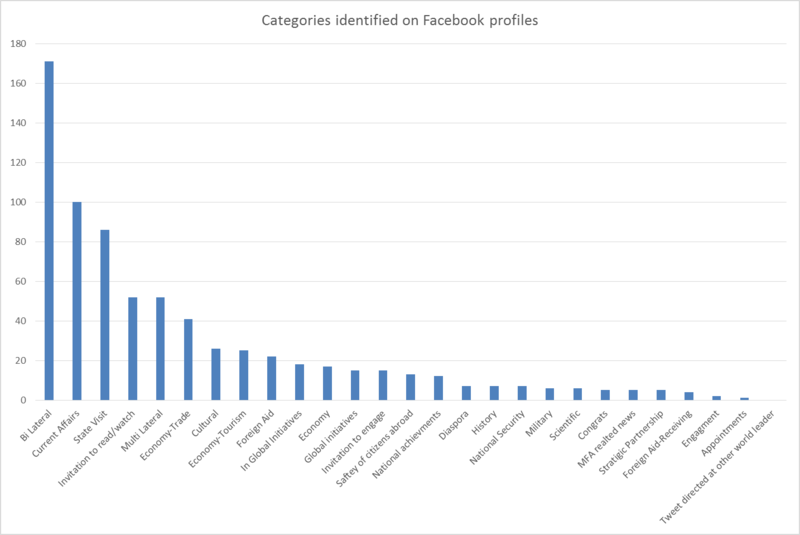 Given these results, it is possible that both twitter channels and Facebook profiles operated at the ministry level are aimed at international audiences and not local ones. With regard to the topics addressed by tweets and posts published by ministries of foreign affairs, again there is a striking similarity between the tweets and the Facebook posts. 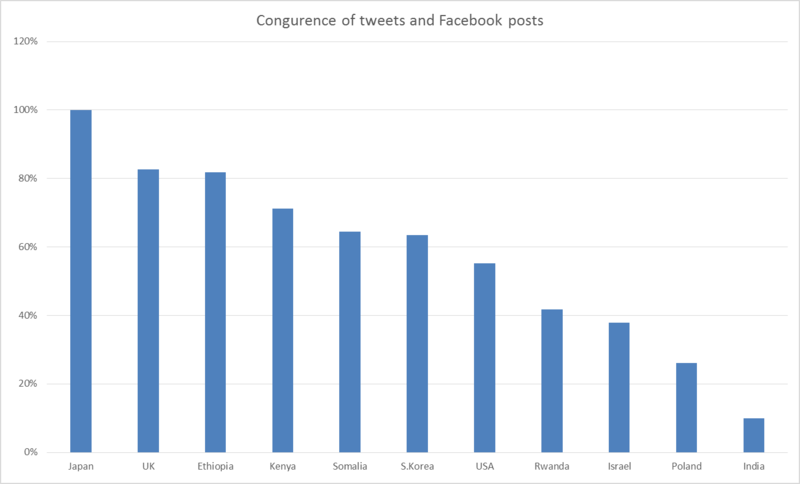 Given the similarity in topics addressed by tweets and posts alike, I conducted one final analysis- measuring the congruence between tweets and Facebook posts published by foreign ministries. I discovered that in most countries, 60% of the content published on twitter is also published in the form of Facebook posts, many times in the exact same phrasing. And so it appears that in the world of Digital Diplomacy there is little importance to the medium and the same messages can be found on a country’s twitter channel and Facebook page. This is somewhat confounding to a communications student who lives by the motto- the medium is the message. I hope you come back next week when I hope to blog about the importance of # and their possible role as “twitterian” news headlines. Posted in Uncategorized and tagged Digital Diplomacy, diplomacy, Facebook, foreign affairs, medium, twiplomacy, Twitter. Bookmark the permalink.